I’m no stranger to insomnia. When I was a teenager, our family nurse practitioner prescribed me a strong dose of diphenhydramine to help me fall asleep better. I didn’t like taking it, though, as I would wake up feeling very drowsy. Not the best thing for a teenager who already had a hard enough time getting out of bed. Thankfully, I’ve been able to find natural ways to help myself fall asleep so that I wouldn’t need to depend on medications that made me feel drowsy. Chamomile – This herb is a well-known, relaxing herb. Catnip – Not just for cats, catnip is an anti-spasmodic and sleep aid. Lemon Balm – Lemon balm soothes both the digestive and central nervous systems, helping you relax. Valerian – This herb acts more like a (mild) tranquilizer. It can be used as a tea if you really have problems getting to sleep. Many natural herbal sleep teas on the market contain small amounts of valerian root. Hops – Ever get sleepy when drinking beer? Hops flowers are very relaxing and used to promote sleep. Lavender essential oil is well-known for its calming effect. We use it often in our house for calming crazy kids and to help everyone relax before bed. Lavender essential oil is an oil that can be used neat (meaning it doesn’t need to be diluted) and is a safe remedy to use on children. Try applying a drop to your temples, adding a drop to your pillow or applying a drop to the bottom of your feet for fast circulation throughout your whole body. You can also diffuse it in your room/house using an essential oil diffuser. Some of us look for any excuse to take a bath. And for good reason. Warm water is very soothing and soaking in water can help you relax if you’re too tense to sleep. It’s also a great way to calm your mind. Sometimes, the reason I can’t sleep is because I can’t “turn off my brain.” Taking a bath and intentionally clearing my mind helps with that. I also add epsom salts and lavender essential oil. One of the main reasons I sometimes have trouble falling asleep is because of muscle pain. Thankfully, I’ve found that by doing a short bedtime yoga routine, I can stretch all of my tight/sore muscles, enabling them to relax enough for me to fall asleep easily. This is also a great time to clear your thoughts, meditate and pray so you can easily transition into sleep. While not your typical natural remedy, I had to include this method. 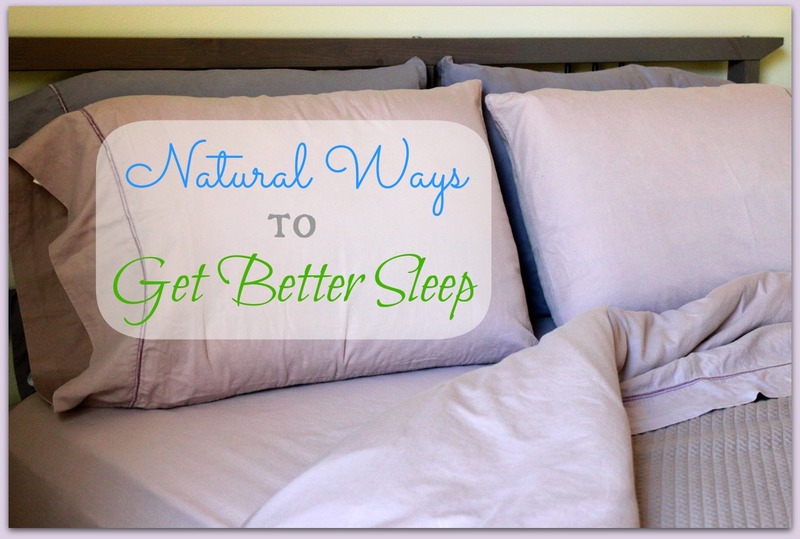 It is one of the easiest (and hardest) ways to get more sleep. It’s tempting to stay up too late looking at screens. I know – I can get a lot of work done while the kids are asleep. (Sometimes Facebook counts as work …). However, staring at a screen at night is like resetting your brain, waking you up when you should be winding down to go to sleep. A simple solution? Make a “no screen” rule an hour before bed. In our house, I aim to shut off the computer and put away my cell phone by 9 pm. Have you tried any of these remedies? What works best for you? I have a scentsy warmer…. can I use that as an essential oil diffuser? My wife swears by magnesium for better sleep. My 2 fav’s are definitely powering down from electronic stuff, and wearing a good fitting sleep mask. If you wear orange glasses at night while looking at a screen it will block the light waves that keep you up. You can buy them on Amazon for 10/15 bucks and it works. I wear glasses so I bought the ones with clips. My doctor told me about this. I have had insomnia my whole life and have taken just about everything. I worked at night also. I have a small cloth bag full of food grade chamomile on a string hanging from the poster of my bed that I squeeze. I take three Valerian 530 mg caps an hour before bed. I started taking melatonin 5 mg 30 mins before bed and sleep like a baby but then heard that high doses might not be so goog for you so I went to 4 mg, then 3 mg and finally just 1 mg that I found on Amazon. The higher doses really worked well but gave me very vivid dreams, not all bad either. Now that I’m using the 1 mg I still sleep like a baby without the vivid dreams. The only place that I have found the little 1 mg ones is on Amazon. This has worked better for me than any drug that my doctor has prescribed ever and cost just pennies a day. I also use one of the little blue lights to wake up. It’s like being in the sun and helps me get going when I wake up as I hardly ever see the sun much. I could never settle down at night because my mind raced with all I had to do the next day.I started keeping a journal; I wrote down what I did that day, and any thing that came into my mind that I needed to remember, I would write down. Then, I would read til I went to sleep. It worked beautifully for me. I also keep a sleep routine. I make a rule that I have no electronics in my room (save my cell phone, as it’s my alarm) The very best way for me to fall asleep is a nice warm glass of milk with honey, and a book. Absolutely no TV or computer. It puts me to sleep quicker than anything. I love all of your tips and I use a lot of them. The following site has a download for your computer to help prevent the screen from keeping you awake for when you need to be on the computer near bedtime. I’ve added it to all of ours. I love Herbal Teas. I never drink anything but sleepy time teas after 5 p.m.They really help and taste good.Love your blog. Raspberry leaves were recommended when I was pregnant decades ago. The most important help for insomnia (I am diagnosed not just sleep deprived) is what my physician called sleep hygiene – set the scene IE no light or stress and a routine just like we did with our children. I don’t like baths so a shower, cup of tea, a bit of reading, a simple meditation (for others prayer?) all at the same time of night without fail for enough time to get sleep more regulated. Get a routine and a good book and try curbing ruminating about the next days activities by listing whatever comes to mind before or even during (lights out) fun to work at. My friend found that getting up when 10 min. had not done the trick and doing some unpleasant chores until sleepy back to bed 10 min. more and back up if not sleeping repeat repeat repeat worked for her as she reset her brain sleep good no sleep no fun. I wish you restful nights and energized mornings. I’ve always been an night owl, but my life circumstances does not allow me to be that way anymore. So I’ve incorporated the Lavender bath salts, (DIY recipe) and the dimming of lights in the evenings,(Healthy Life Summit). But I’ve also employed what I call my “8-9-10 rule” in order to keep a good bed time routine. I stop ALL work by 8:00,( I used to fold laundry as late as 10:00). I bathe, brush teeth etc. by 9:00 and I’m in bed by 10:00. This has really helped me switch from being the night owl to being able to function at the highest level I can. I get insomnia when the time changes and at times durning the summer. For me the best thing is not to get stressed about it. It makes it worse. I’ve tried most things. Valerian can act as a stimulant if your mind is very active. Melatonin works for some people if you take it a half hour before sleep and you need to keep your room dark. Worked great for my Mom, but not for me. Although, I’m looking into it again. It seems we don’t make as much of it as we age, according to my boss. Chamomile is a weed. My allergies goes nuts. So…I stay calm. I wear a eye mask. I eat a little protein, usually warm milk. The big thing is I put on the face mask. (A-Pap) I found out I have severe sleep apnea. It is amazing what a lack of oxygen does to your sleep. When this all fails as it sometimes does, I read. Which creates the next problem. I wake up more if it’s a good book! Life is not easy, so you just laugh and go on. Very interesting. For me to sleep well I need to go to bed when I am tired. IF I am not tired or over tired, I do not sleep well. Actually what works great for me are either an acupressure mat or an infrared heating pad. I have never slept better since I stopped eating sugar and grains. This may sound funny, but I take a heaping teaspoon of raw honey right before I go to bed and it gives me a very solid sleep. I think what it does is slightly raise our insulin which allows tryptophan to enter our brain more easily…Try it! None of those things listed worked for me and I’ve also tried many other natural remedies not listed to help me sleep. The closest I found to working is L-Dopa which didn’t help me sleep, but does keep the night terrors away and I *seem* to get a more restful sleep with the L-Dopa once I’m able to finally fall asleep. Did you know that one of the side effects of L-Dopa is insomnia? Maybe try using a large combination of these tips? It’s worth a try because sleep is very important in so many ways. I wish you the best. It sounds like catnip tea would be good if you need to fall asleep to take a nap, but don’t want to sleep all day. 🙂 I am going to try using the lavender essential oil to help my kids wind down. My husband’s side of the family are all night owls and is has been passed to my kiddos. I use essential oils for cleaning and beauty/bath products. I am a little nervous to put the oil right on their skin since I have read so much about making sure that does not happen. Should I try it somewhere else on them the first time? I don’t want to let my hesitation of something new let me procrastinate because I think this could be a huge tool for me to use. It beats making them stand with their nose to the wall or time out in a chair to make them calm down. Thank you for sharing your knowledge. It helps me take baby steps to having a simplified, natural lifestyle. 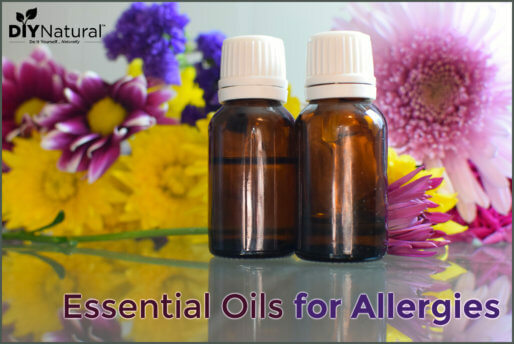 Add the lavender EO to a carrier oil. Thats what was suggested to do in another post on this site for 7 kids remedies. 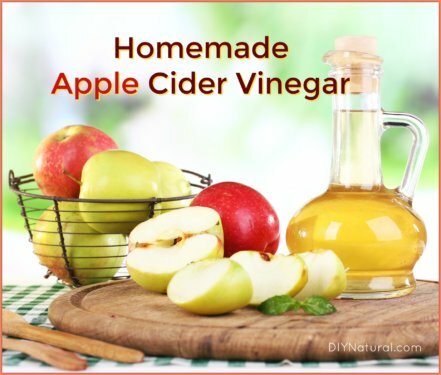 You can dilute it in a carrier oil to put it on your kiddos, and also put it on the bottoms of their feet. I make sure to get oils that go through lots of testing, so some oils, like lavender, I have no problems putting on their skin without diluting. But, if in doubt, dilute! By lots of testing, I mean to make sure they’re free of pesticides and additives and to make sure they’re pure. 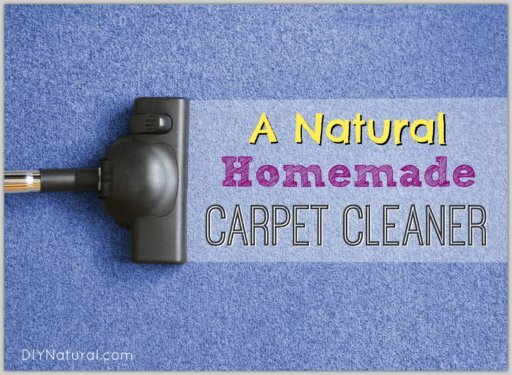 I used the company diy natural has listed in their book. Yoga helps me SO much! I notice when I don’t do yoga my back hurts in the night and I can’t stay asleep. I really want to try lavender now! Catnip tea is a diuretic. It causes frequent urination and increased amounts of urine, so avoid drinking it if you will not have access to a restroom. The diuretic properties also cause heavy perspiration. Catnip tea is a folk remedy for water retention, and was traditionally used for “sweating out” a fever. The diuretic property becomes an undesirable side effect if you drink the tea for relaxation or refreshment. The diuretic effect of catnip tea will disturb your sleep if you drink it as a sleep aid. Wow! I didn’t know that… thanx for the info! I work nights and sleep days so I never get enough sleep. I have tried many things including melatonin. The over the counter sleep aids cause me to feel like I am drugged when I wake up. The best thing I have found was Sleepy Time tea with Valerian. I have a big bag of dried catnip in the pantry that I put up for the cats. I think I’ll try steeping a little to see how I like the tea. One thing that works very well for me is to heat up a rice pillow and lay it on my stomach (if I’m on my back) or my hip (if I’m on my side.) It’s a comforting warmth, especially in cooler sleeping conditions. Catnip tea is not very tasty. I would recommend mixing it with the other herbs. I put one of those by my feet. I can’t get to sleep if my feet are cold.